Daddy-o has been out of town (for work) since Thursday morning. Thursday evening I had to call in the cavalry as I got a migraine. Grampie came to the rescue and played with Boopsie while I went to bed with earplugs and a pillow over my face. Things went really well otherwise… until this morning. This morning Boopsie drank a cup of milk and then coughed… and threw it up all over us. The rest of the day she kept saying she had to “cough” (aka barf), but didn’t. 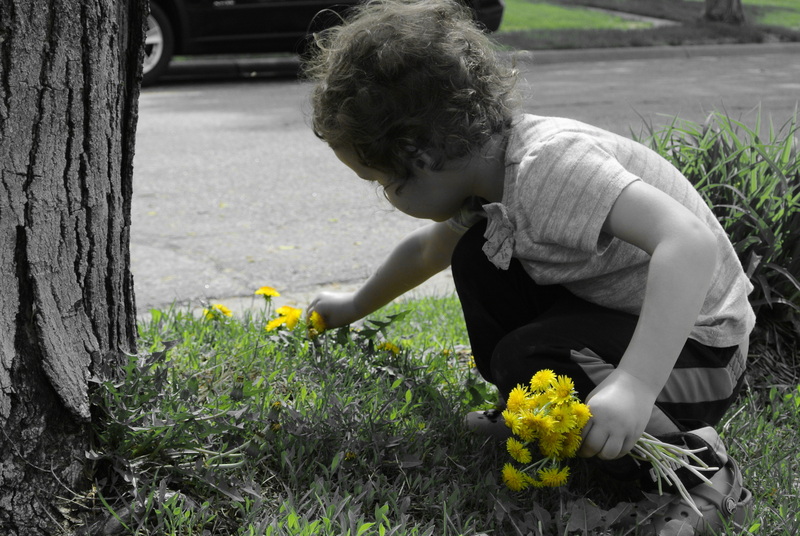 Interestingly enough, those moments seemed to happen as soon as I picked up the phone or said I needed to do something. Suspicious? I thought so. 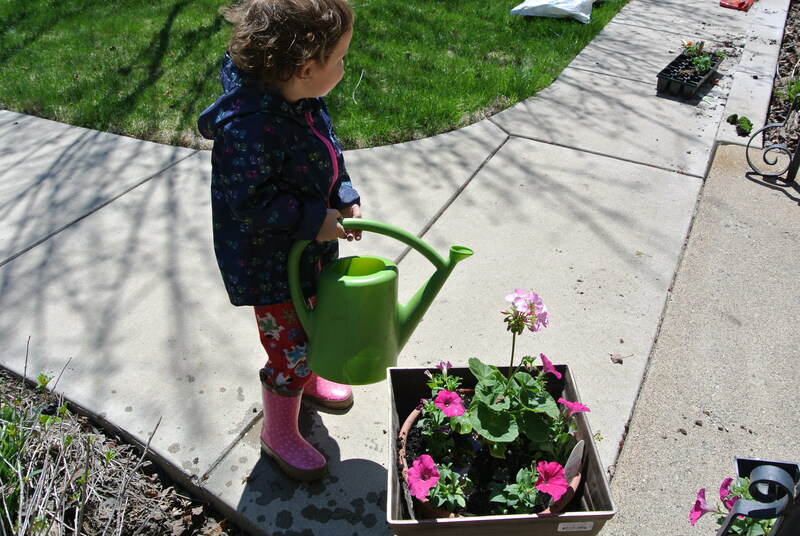 Watering plants in fuzzy polar bear footie pajamas, pink rain boots and her bike windbreaker. 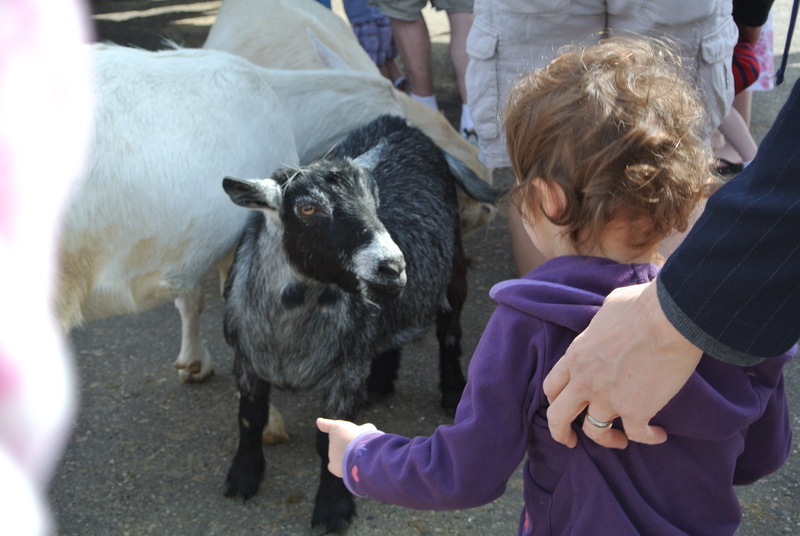 Chasing goats at the zoo… apparently Boopsie loves goats as much as I do. There, I feel much better now. (And it helps that she’s fallen asleep.) Let’s face it, this could be worse: Daddy-o is currently stuck in an airport, where his flight is delayed three hours. Blech.